Welcome, little Mr. Finn to the baby photography Cleveland Ohio blog! It is definitely not his first time here on the blog. In fact, I have had the privilege of photographing his sweet family since his big brother was a newborn! What an honor that they have trusted me with their family’s precious moments for years! You can see Finn’s newborn session here. What a difference a year makes! 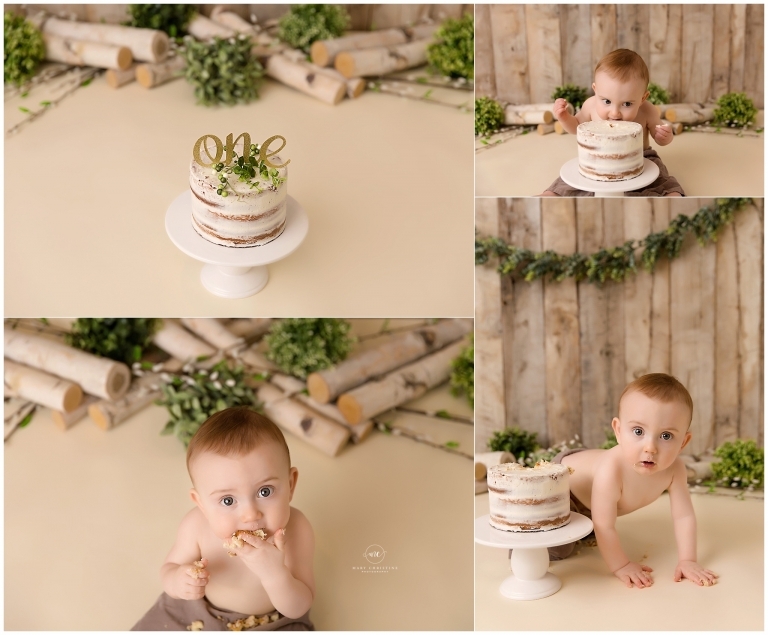 This little guy was definitely on the move for his cake smash session! But he was so laid back and we managed to get a lot of really cute photos! Finn’s first birthday theme is spring woodland- of course I love anything to do with spring right now! Cleveland Ohio is still under snow (which is seems like it has been winter forever), so I was happy to break out all things green. And if you have followed any of my work or previous blog posts, you know how much I love organic looks. So don’t mind me grabbing all the birch logs and twigs over here! Also, I need to take a moment for the gorgeous cake from A Cupcake A Day in Medina Ohio! I LOVE naked cakes! They are the perfect, simple touch for any cake smash. Best of all, we do not need to worry about dyes in the frosting. Yep, I think naked cakes are my go to from now on. I love all the little details of cake smash sessions. From Finn’s little baby hands covered in frosting the look on his face, it is all too much cuteness. Seriously dear readers, if you ever need a little sunshine, just look at all the baby photography blogs. Finn’s brothers came for a few photos as well. How dapper do these boys look? Well, that is a wrap! Thank you so much for stopping by. 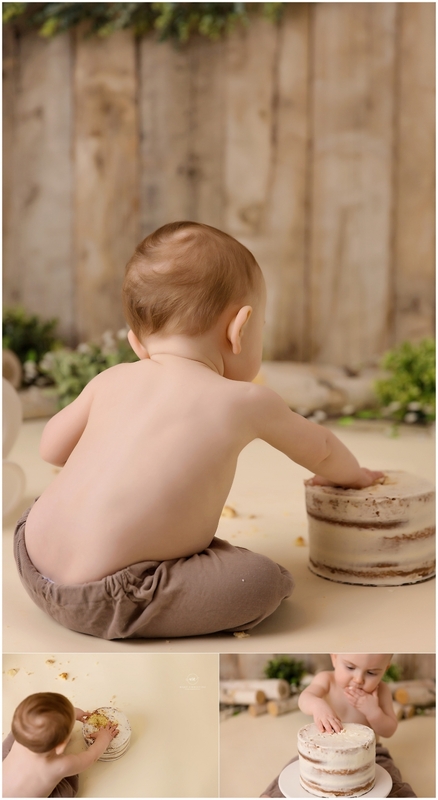 Are you looking for baby photography Cleveland Ohio? Please contact me today to chat about creating your little one’s photography session!